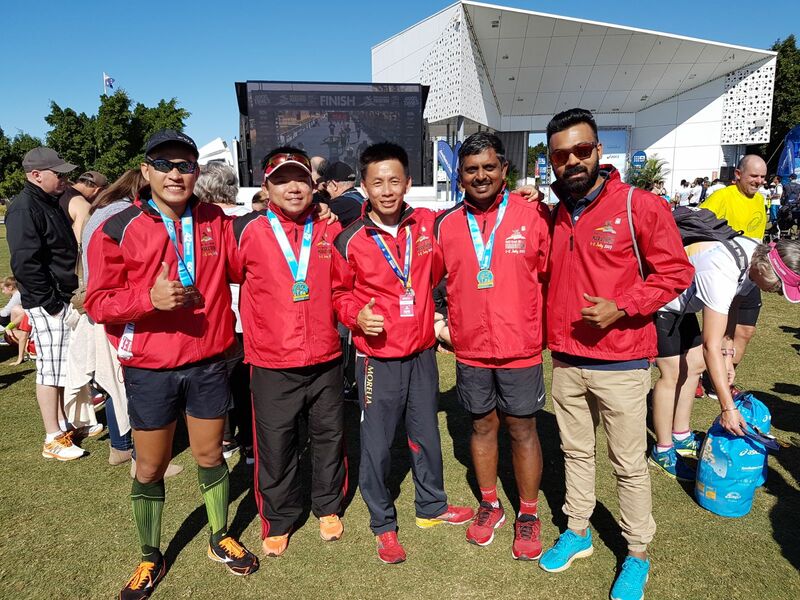 My New York City Marathon 2017 Chronicles | JustRunLah! January 2017. It was early this year when I came to know of New York City Marathon. It appears that I am very much still a newbie as a runner that I just learned about the world major races. I have been around this city once a couple of years back and I find it to be an amazing city with all the famous landmarks right before my eyes. It was a pity I did not get to race here that time as I chose to explore it by walking around and snap pictures instead. It was in May that year too that I had my first ever overseas fun race in Chicago, a short 5km (Move for the Kids Run 2015). I just started getting hooked on to running back then. 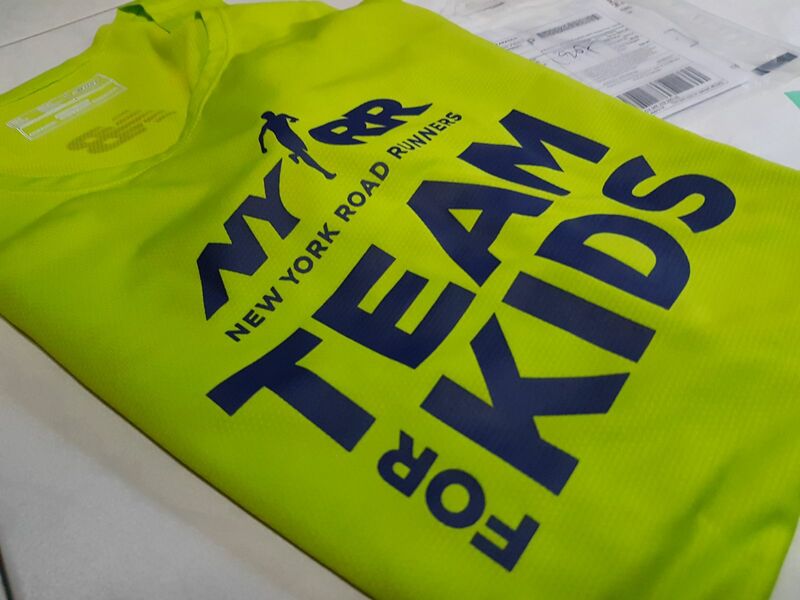 On 18 Jan, registration for the New York City Marathon opened. I have waited for this counting down days until I can also try my luck out of the balloting. It was very difficult accessing the race website that opening day as if the whole world is trying to register all at the same time. I was working that day too and I was quite skeptical as to whether I can get myself registered because of the thought that whoever registers first gets a slot first. I crossed my fingers and prayed as I clicked ‘submit’ later in the afternoon after numerous unsuccessful attempts in the morning. February. Days went on and I have forgotten about New York marathon but pressing on to be a better runner continued. 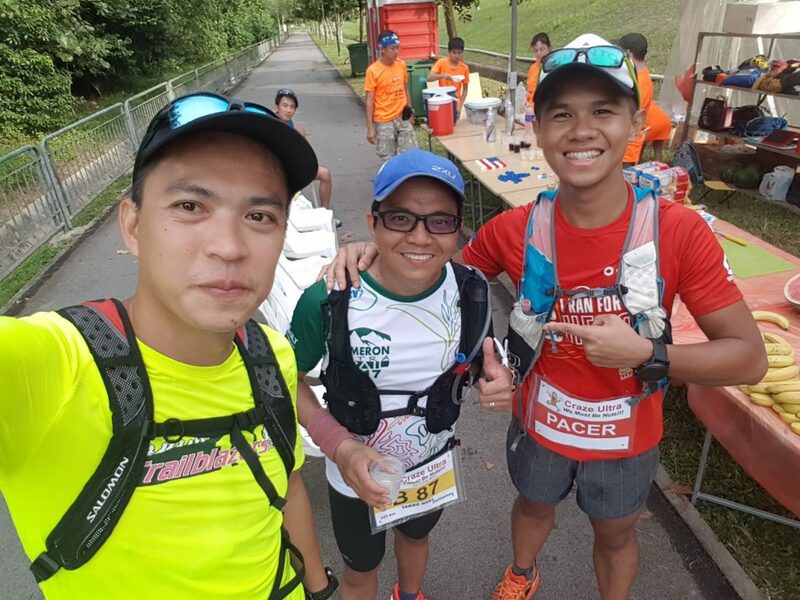 Long runs with the Pinoy-Sg Runners and solo exploration runs in my own pace went on plus the weekend races, something that I always look forward to after a long busy work week. March. March was a little unforgiving. It started with a sad news – I was not chosen to run the NYC Marathon. It was sad. When can I ever get lucky with this system? A great deal of events took place and kept me occupied. Work became more stressful as the financial year comes to a close. 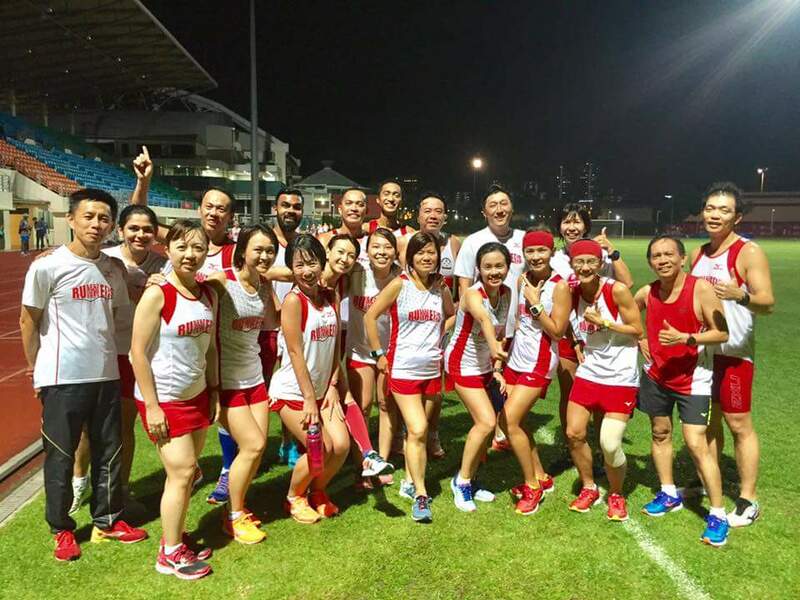 A Tokyo family trip was planned for the school holidays too while training for Sundown Marathon happening this month. All these kept me busy and forgot about the NYC marathon for a while. I learned about Team For Kids while I was still on denial that I kept checking back the email. I found hope for me to enter the marathon! There were other options for those who did not make it through the balloting. 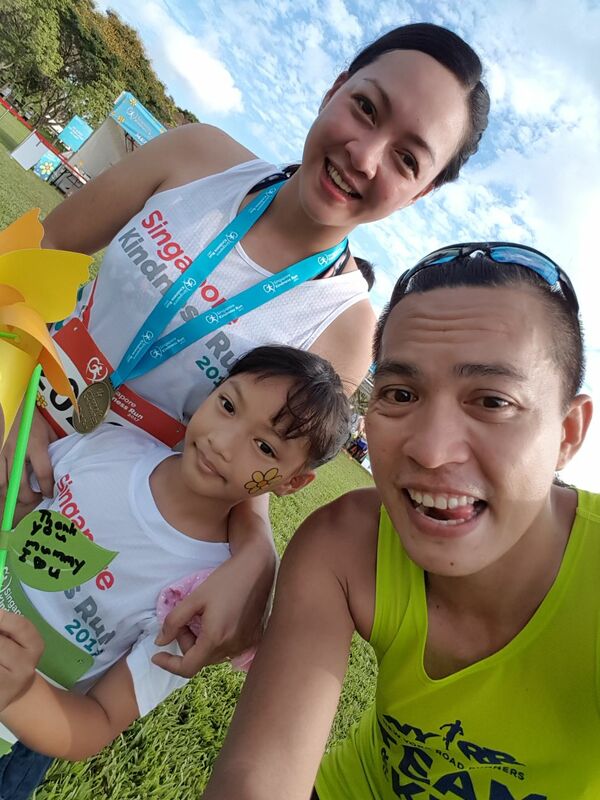 Guaranteed entry can be acquired by signing up with either a marathon package with travel partners or by running more meaningfully by raising funds for a list of non-profit charity organizations where one of them is Team For Kids. Determined to get a slot, I studied which one should I go with and yes I chose to raise funds with Team For Kids. It was not an easy decision but I prayed for it and I felt that children generally needs guidance and help regardless of whether they are ill-stricken, with special needs, orphaned, abused or under any calamity. They are the future and I felt strongly that we do not choose who to help. It could be our family, friends or even complete strangers. 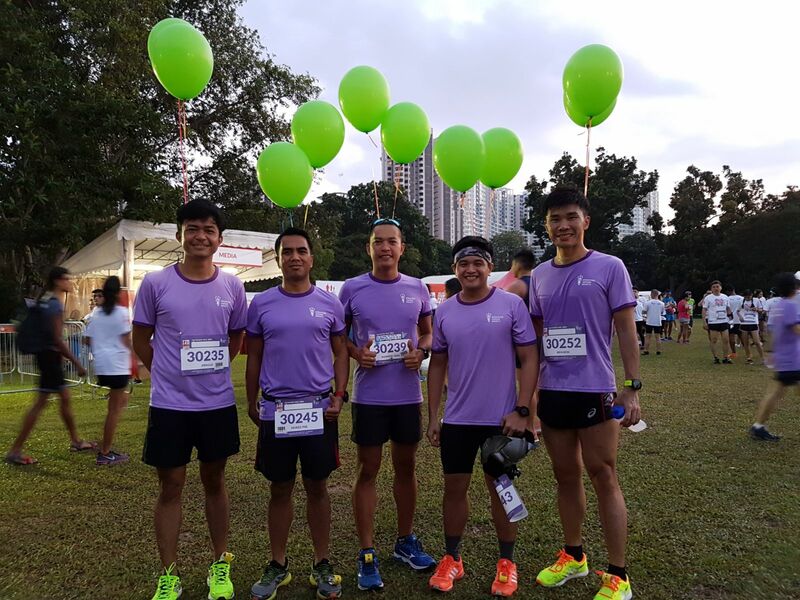 With a fundraising goal set at US$2665 (SG$3600) for a guaranteed entry and with 7 months to work on it, I felt it was not really that bad at all. I was given the invitation code to register for the marathon after confirming my TFK pledge and I became the happiest runner that day I was able to get and confirm my registration for the 2017 TCS New York City Marathon –one of the World Major Marathons! April. After being accepted by New York Road Runners and Team For Kids, I immediately broke the news to a few friends who are living in the states. They were the first in line whom I thought of before I finally decided to push through this marathon via fundraising. Secondly, the local running community. I slowly informed my prospective donors as advised by TFK. I made my donation page appear public slowly on social media mainly on Facebook and Instagram and I received mostly positive feedback and encouragement. Some pledged and some immediately and selflessly donated right away. I did a fair start in fundraising. The work has just started. TFK was quite supportive too as I was sent with the official TFK singlet right away and I was able to wear it at the Income Eco Run 2017 where I got a PB. I ended the first month of my campaign with about US$700++ raised. May. Time went on and my usual weekend long runs and races went on too. I worked out a schedule that I thought of making it a routine. Mondays are my rest days and were reserved for my weekly spiritual family gathering. It is like a church service but only smaller where about 4-7 of us meet every Monday evening and meditate on the bible. Tuesday evenings, I run 10 kilometers on my own while Wednesdays are with my CBD group alternate with my PSR group, usually leg and core workouts. I try running from workplace to home (16-20km) every Thursdays. Friday is of course spent with family. Saturday morning is a swim with my little miss and Sunday morning is for long runs. As I do shifts and works sometimes on weekends and holidays, I try to be flexible. Working in a hospital lab operating 24 hours and training is not easy but I do enjoy the challenge not forgetting family time and church. July. Fundraising progress skyrocketed this month to about a thousand plus. But it went stagnant after. I realized asking people to donate is quite embarrassing but I feel that the embarrassment does not equal to the fulfillment and joy underprivileged kids will get. This has kept me going although I also felt like an annoying weekend program who kept on posting about the same stuff on social media. I just have to hang on though. It will be October 5 soon and all these will be over. 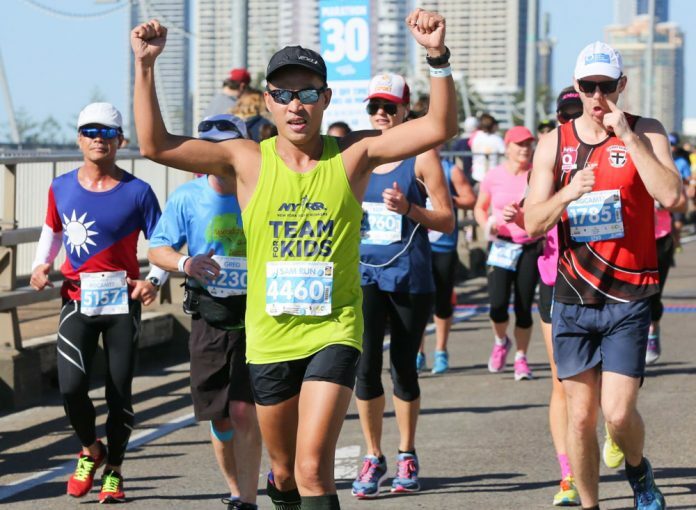 Earlier in July, I took part at the Gold Coast Airport Marathon. I felt prepared mentally. That was all I can do. Honestly, I was physically underprepared. I trusted on the cold weather to help me get through. I went on steady at 5.30pace but I was only able to keep it up until 21km mark. My pace went down to 7mins to fast walking if you consider it fast. Experienced multiple cramps and my nips almost bled. Finished at 4:30, a PB but way behind my goal finish time. I promised myself then that I will do better in New York. And yup I have shared about my running and the running scene here in Singapore. August. This month I embarked on a more serious marathon training. 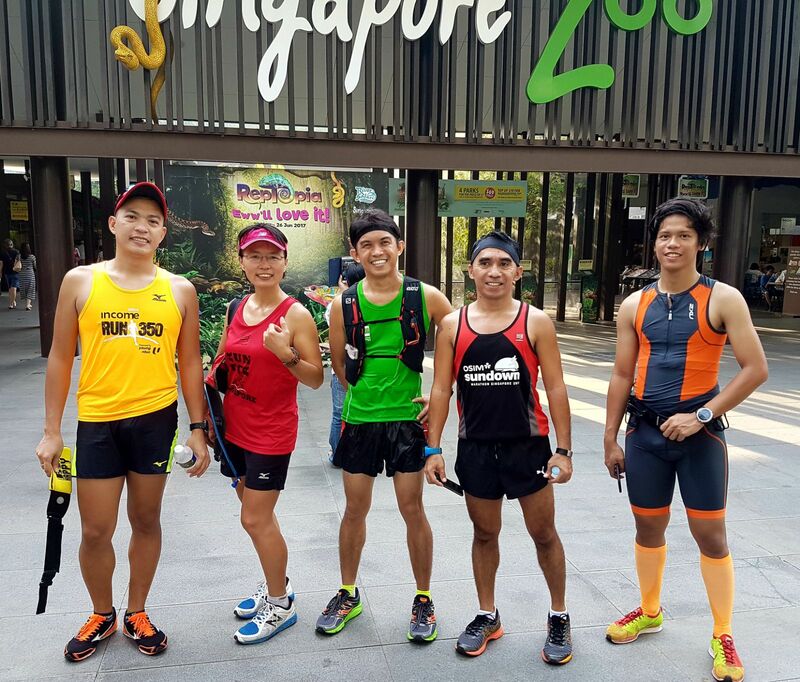 My Filipino friends definitely will prepare for Standard Chartered Singapore Marathon which is a month before NYC. It is not easy to train alone more so on running long distances. I followed a 3 month training program I got from the internet and it did perfectly fit on Mizuno F1 structured program set by my long time coach Lexxus adding speed works, intervals, endurance and hill repeats training 4-5 times a week. It was a busy month but I still make sure I keep up with my training calendar. September. I am at US$1800 out of the $2665 at the opening of my birthday month. It is the last month of fundraising. I feel so stressed but still optimistic in a way. I am hopeful but I don’t know how to ask from people and friends who are aware but seem to keep silent about it. I am really grateful for the people who have supported my fundraising without any doubts. I always make it clear though in my posts that there is no amount that is too little and is not appreciated. Just throw in 10 or 20 bucks on the TFK donation link and it will be a great help to them. It can make a difference. Donation not over yet until 5th October! As for me, I am currently in the process of arranging my travel plans. Work and training goes on and I am trying to be extra careful too as I start to feel some pain on my right shin, a nightmare for most runners. Few weeks more and I will be racing in New York, my first World Major run. Thankful for the tips on the run, how the course was like and so on from friends and previous NYC Marathon finishers. I am looking forward to get my target finish and execute a good pace plan on this race. Watch out for part 2 as I will be sharing my experience and how running for Team For Kids will be like! BIO: I am a medical laboratory technologist who runs on shoes when I am not running your blood tests. Click here for more post from i_Sam. Hi, my name is Grace. I am planning and hoping to get an entry to NYC Marathon next year. Do you mind if I ask you a copy of your training routine before? 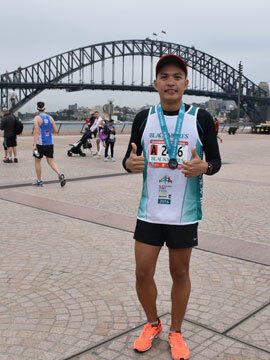 I’m just a newbie in running too=) Thank you.